Kedah is a state of Malaysia, located in the northwestern part of Peninsular Malaysia. 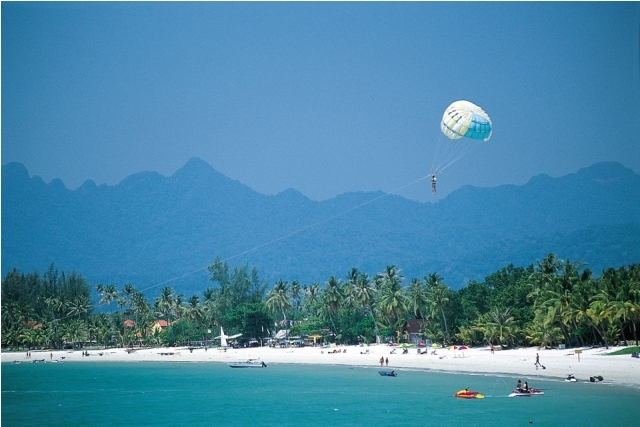 The state covers a total area of over 9,000km², and it consists of the mainland and Langkawi. The mainland has a relatively flat terrain, which is used to grow. 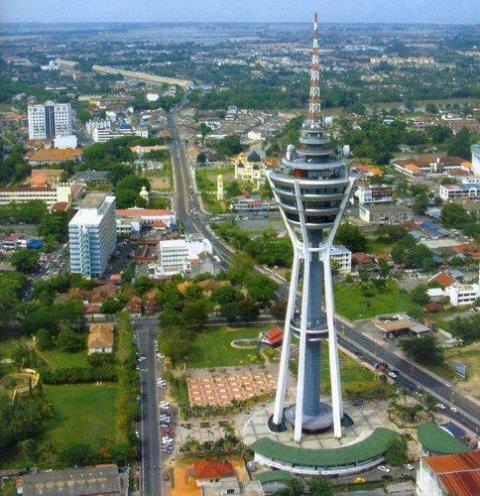 Located in the heart of Alor Star, the 165.5 meters tall tower is the 19th tallest telecommunication tower in the world. 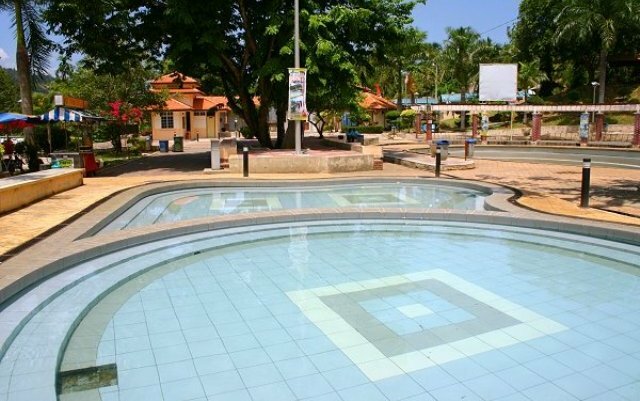 It's a prominent and modern landmark that signifies the rapid development in the state of Kedah. Datai Bay is situated at the north-west corner of Langkawi island and has the most exclusive golf resort on the island - the Datai Bay Golf Resort. Another exclusive establishment here is the Datai Langkawi Resort, luxurious, elite and indulgent. There are several jungle trails that take you down to the peaceful Datai Bay beach. There is also a crocodile farm on the way to Datai Bay where you can watch the crocodiles as part of entertaining shows in the mornings and afternoons. 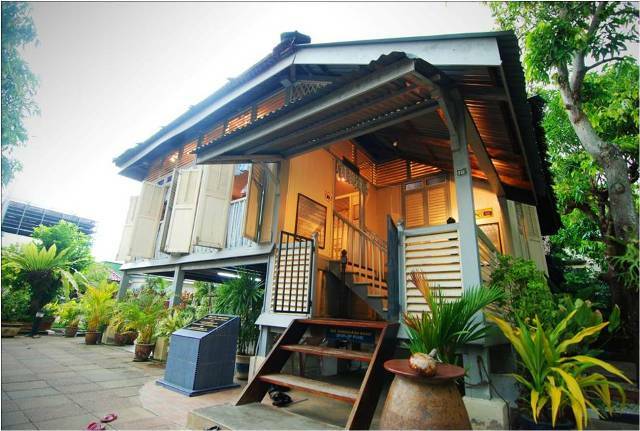 Rumah Kelahiran Mahathir which provides an insight into the younger days of the fourth Prime Minister of Malaysia, from his school days to his success as a doctor. He was born in Alor Star on Dec 20, 1925 at No 18 Lorong Kilang Ais, off Jalan Pegawai. His home has seen been designated a historical building and was restored by the National Archives in 1992. Pekan Rabu is now open not just on Wednesday, but every day. Its well known among the local population and tourists from outside Kedah. From is humble beginning weekly market operating from an attap roofed shack, it has since expanded into a multistory arcade selling a wide range of from traditional delicacies like dodol durian to mengkuang mats and apparel. Various types of commercial activities are conducted in Pekan Rabu, ranging from local products to international commence. 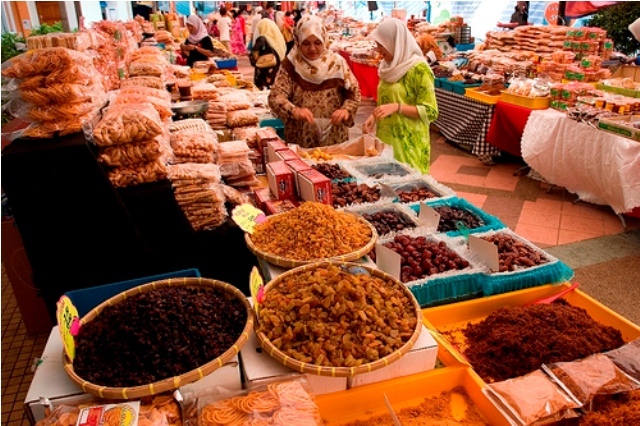 Opening hours are from 8.00 am to 9.00 pm daily and stalls remain open even on public holidays and festivals. One of the famous places to get the Malay traditional foods in Kedah such as serunding, dodol and kuah rojak or garam belacan. The business complex is not only the pride of Malay entreprenuers in Kedah but also the pride of all Malay's in Kedah. The 950m-long Tree Top Walk in the Sedim River Recreation Park is the longest canopy walk in the world. The Tree Top Walk Sedim River was built within the low land of dipterocarp compartment 15 of Gunung Inas Forest Reserve. The spectacular view you get when you stroll through the jungle canopy is the main draw for visitors from far and wide to this quiet, all-natural corner of Kedah. Strolling high above the ground of this primeval rainforest affords visitors an unexpected and exciting perspective. Call it a 'monkey's eye view'. Visitors will enjoy the fabulous sight of rushing streams and truly fascinating flora and fauna - all from 50m up! Apart from those seeking relaxation, people with ailments and skin problems go there to seek therapeutic treatment by immersing themselves in the five hot spring pools which has high sulphur content with water temperature at between 30C and 60C. The design was inspired by the vision of the late Sultan Muhammad Jiwa Zainal Abidin II. 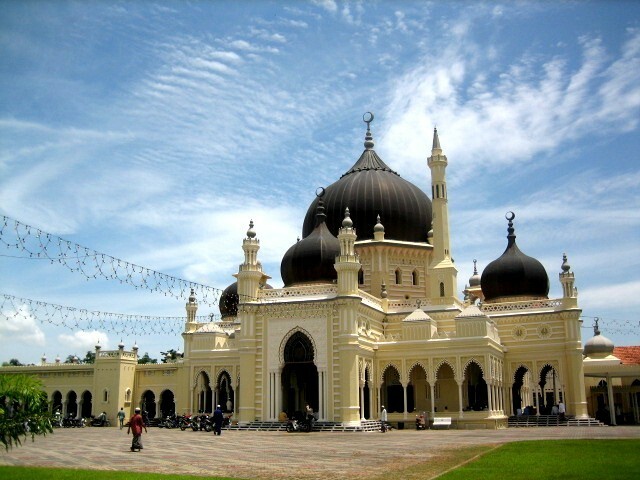 Masjid Zahir is located in central Alor Star, and is the official mosque for the state as well as the main mosque for the local Muslims. Its main hall (prayer hall), measuring 3,844 sq ft, is surrounded by wide verandahs with four mezzanine areas, each topped by a dome. The main dome is situated in the north-east of the building. The five large domes symbolise the five Islamic principles. 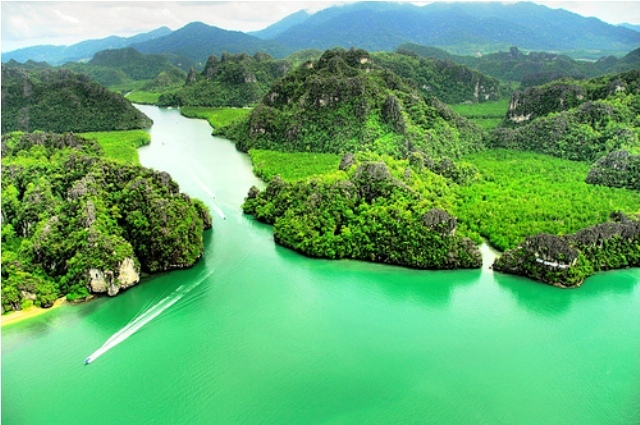 Set in a craggy, almost magical setting of limestone outcroppings rising sharply out of the calm Andaman Sea, the mangrove forest here is really an intricate network of streams and hidden coves that are home to hundreds of endemic jungle species of wildlife. Among the most exciting of these are the Brahminy Kites and huge Sea Eagles who nest in the crags overhead. One of the best ways to discover this usually inaccessible mangrove world is to join the regular small boat tours available. The highlight of any tour to the mangroves is the feeding of the eagles. Your boatman will throw food into the water near your boat and wait for these huge birds to circle overhead and swoop in for their 'lunch'. Mangrove tours can include jungle trekking, cave exploration, village visits, high tide swims and guided exploration of mangrove flora and fauna. Decide on what itinerary best suits you before you book. Explore kilometres of tidal forests, rugged limestone cliffs, secluded caves and unique flora. Pure Nature! A good way to see this island and also Pulau Singa Besar and Pulau Dayang Bunting is with an "island hopping" boat tour. 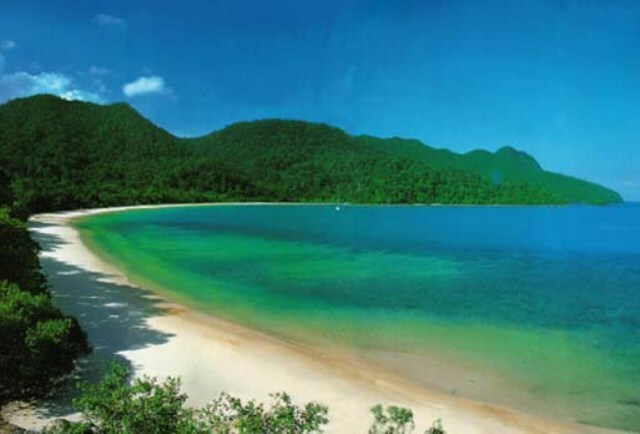 The sprinkling of jade green islands that makes up Pulau Payar lies just 30km south-east of Langkawi. It's just a 1-hour boat ride out to the best marine park on Malaysia's West Coast, making it an ideal choice for a day outing. This well-preserved, uninhabited marine park extends over a number of islands, with Pulau Payar being the largest. Your base out here is the floating platform moored off Pulau Payar. But the real attraction of this platform lies below sea level. Step into the underwater observation chamber to view the marine life surrounding a reef. Want to get even closer to the swirl of fishes that make these corals their home? Grab a mask, a snorkel and fins and join the spectacle! Are you into scuba diving? The best diving is along the reef system that skirts the south, east and west of Pulau Payar. Please check with your dive operator what the visibility is like during that time. It can vary from time to time. 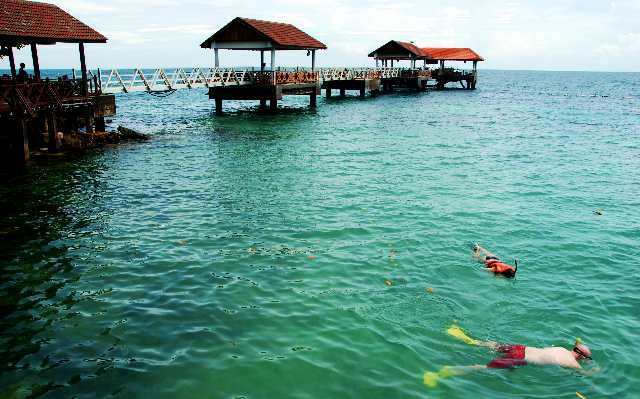 There is no accommodation in Pulau Payar as it is a marine park, but that's not really an issue since Langkawi, with all its fine resorts and restaurants, is just a quick boat-ride away.